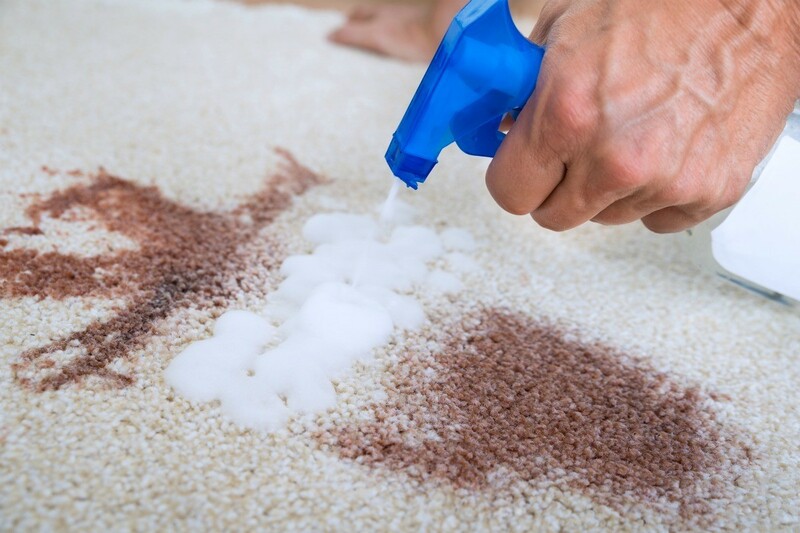 Hydrogen peroxide is especially good for organic stains and is very gentle on carpet. This is a guide about using hydrogen peroxide for carpet stains. Deciding to finally "power" clean my son's room while he is at college, I got everything off the floor. To my dismay, I found huge, dark brown spots of coffee, tea, soda (or whatever it used to be) all over my cream colored berber carpet. AAUUGGHHH! I tried everything I had labeled "carpet cleaner" in the house then decided to go for plain old hydrogen peroxide. I did not fear it bleaching the polypropelene fibers. Even if it did, I would rather see that than the yucky brown mystery spots he left behind. I was equally shocked to see the stains fade before my eyes! At 69 cents a bottle, what a great money saver it was. I just sprayed it on and used a rag to wipe it up after about 15 minutes. Again, peroxide may fade some colored fabrics but, in this case, I was very happy to see the the stain "fade" with no noticable change in the carpet fibers. I would be real sure my colors would not fade before trying this on a darker colored carpet. For me, it would have meant buying new carpet as bad as the stains were. What a good idea. But I have a question? As peroxide comes in different volumes,which one did you use? I use the cheap one that you find in Walmart. I believe it is 3 percent? It also works on human or dog urine. I worked in a nursing home and we would pour it on a urine stained rug and then wait a few minutes. You then put a towel over it and step on it until most of the liquid is in the towel. Then I would do it a second time and take most of it up. It also works on tile or in bathrooms around the toilet where there is an urine odor. It has so many uses like removing blood from fabric or stains from whites.